We’re Launching a New Book… and It’s Our Gift! 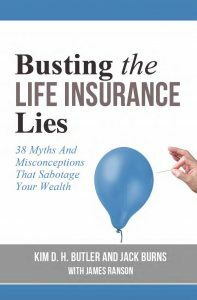 My wife, Kim Butler, and our friend, Jack Burns, have joined forces to write what just may be the definitive book about whole life insurance: Busting the Life Insurance Lies: 38 Myths and Misconceptions that Sabotage Your Wealth. These are the questions that confuse people and even prevent them from establishing a firm financial foundation. Unfortunately, myths, misunderstandings, and outright lies cause uncertainty around what life insurance is, how it works, who needs it and when, and—most importantly—the great benefits it can bring to your life. This book clears up all that confusion. Busting the Life Insurance Lies is also written as a resource for advisors. It contains an extensive 50-page appendix with policy illustrations, with nearly 20 policy illustrations, as well as a transcribed Truth Concepts presentation demonstrating the Internal rate of Return of a whole life policy, using the Funding calculator. It’s possible that there has never been a financial product that has been so misunderstood as whole life insurance. You can find debates on the internet with hundreds of comments that will take you hours to read. Most investors ignore it, not comprehending the value of savings, liquidity, stability, and leverage. On the other hand, some insurance agents and advisors believe it is the sole solution to every financial problem (even when it’s not). So what’s the TRUTH about life insurance? In Busting the Life Insurance Lies, my wife Kim and our friend, Jack Burns of JB Life go into great detail to dispel the myths and clear up the mystery of (especially) whole life insurance. 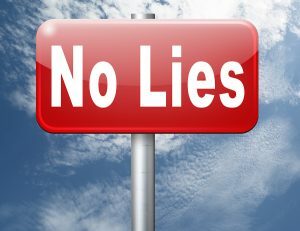 Lie #1: Whole life insurance is a bad investment. Lie #7: You’d do better to be self-insured by building up your own net worth. Lie #8: Life insurance is just for burial costs. Lie #9: Only people with dependents need life insurance. Lie #10: Never buy life insurance for a child. Lie #15: “Buy term and invest the difference” works. Lie #17: The insurance company keeps your whole life cash value when you die. Lie #19: If you can’t pay your premiums, you’re in serious trouble. Lie #20: If you borrow against your policy, you’re borrowing your own money. Lie #22: You can only count on the guaranteed column (not dividends). Lie #28: A whole life policy means you don’t need any other investments. Lie #30: When you borrow against a policy, you’re paying interest to yourself. Lie #31: Universal Life gives policyholders more flexibility and costs less. Lie #32: Direct recognition is bad, non-direct recognition is good. Lie #33: You never want to purchase a MEC, or let your policy become one. Lie #36: You need buy-sell insurance to protect your business. Lie #38: The gross dividend rate equals what you’ll receive in dividends. Want to know how Kim and Jack answered all these questions… plus 21 more? Download your Kindle copy of Busting the Life Insurance Lies now… and/or you can purchase the paperback on Amazon.com. Then be sure to comment “Got it!” below in the comments or on our Facebook page so that your name will be in the hat when we draw a contest winner for the gift card (plus a year of TC if you don’t already have it). Help Kim and Jack tell the truth about life insurance. Feel free to share this post or the Amazon link; copy and paste this for the Kindle download — www.amazon.com/Busting-Life-Insurance-Lies-Misconceptions-ebook/dp/B01N1JNNS9/ — with others… there’s a lot of misinformation to be busted out there!